During this time of year, a lot of people are prone to the idea of “Spring Cleaning”. There are so many things that we’re diligent about doing. Like landscaping, pressure washing the house, cleaning windows, window sills, doing a very thorough cleaning of the inside of the house… Even the couches and chairs! Take a moment to reflect on the things you did or will do for “Spring Cleaning”… Maybe you wiped all of your appliances down inside and out. Maybe you cleaning the inside of EVERY cabinet, drawer, and small space you have whether it’s been used or not. 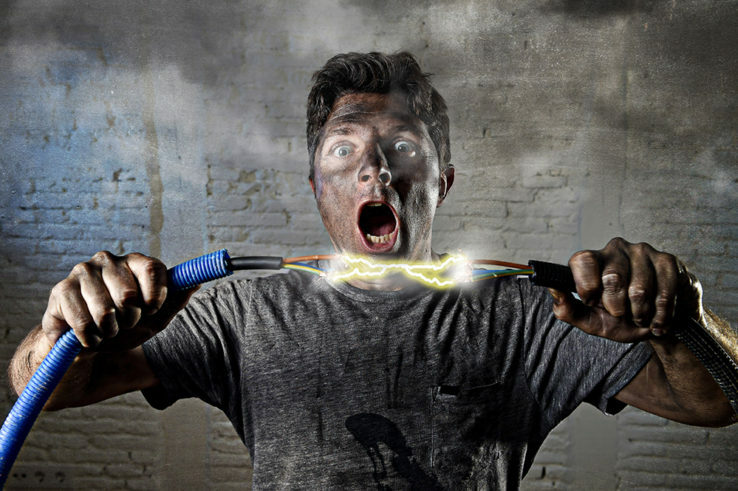 Have you thought about giving your home an electrical checkup? Making sure outlets are working properly and there’s no visible or hidden damage? Taking a tour around the house to make sure that nothing looks out of place or worn out? Follow along, some of these you know but I’m willing to bet that you’d be shocked by some of the things you should look out for. Are all switches and outlets working properly? Improperly operating switches or outlets may indicate an unsafe wiring condition, which could be a fire hazard for you and your family. Are any switches or outlets warm to the touch? Unusually warm switches or outlets can indicate an unsafe wiring condition. Are any outlets or switches discolored? Discoloration signifies a dangerous heat buildup in these connections. Do any switches or outlets make crackling, buzzing, or sizzling sounds? Unusual noises from a switch or outlet may indicate an unsafe wiring condition, such as a loose electrical connection that can cause a fire in your home. Do plugs fit snugly into all outlets? Loose-fitting plugs can overheat and catch fire, putting you and your family in immediate danger. Are any cords cracked, frayed, or otherwise damaged? Damaged cords may have exposed wires that can be a fire and/or shock hazard. Are any cords pinched by furniture or in doors/windows? Pinching cords can cause damage to the insulation or break wire strands, creating a fire or a shock hazard. Are cords attached to anything with nails or staples? Nails and staples can cut or pinch insulation or break wire strands making them a fire and/or shock hazard. Are cords placed under carpets? Cords can overheat if air cannot flow around them, creating a fire hazard. Do you use extension cords on a permanent basis?! Extension cords are designed to be used ONLY temporarily. Extended use may damage the cord, putting you and your family in danger of a fire and/or electrical shock. Are any cords kept wrapped up while being used? Wrapped cords trap heat which can lead to melting or weakening of the insulation. If you have ugly, unsightly cords that you wish looked better OR were hidden from plain site… Look no further! 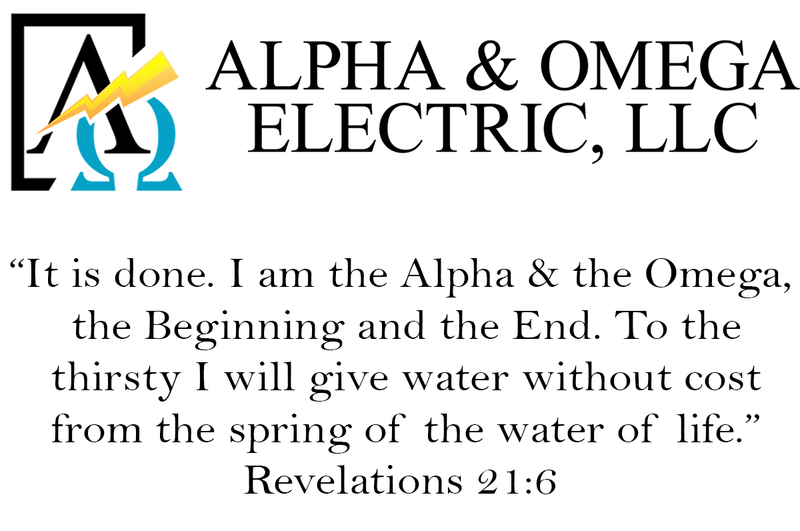 Call Alpha & Omega Electric today @ 505-554-3313. We will come out and perform a cord conceal, making you feel better about your electronics. Are you using the appropriate wattage light bulb in all lamps and light fixtures? A bulb with a wattage higher than recommended can overheat the light fixture, wiring, or nearby combustible material, causing a fire. Are all appliance cords placed so they will not come in contact with hot surfaces? Cords can melt or burn from excess heat. This can expose wires and lead to a fire or electric shock. If you plan on upgrading your appliances, especially in the kitchen or your washer/dryer units, then let us come out and upgrade your outlets and upgrade your panels. You can submit a request for a free consultation by clicking here or by filling out the form for an estimate request to the right of this post. One of our Electrical Specialists will give you a call within 48 business hours. Do you have recurring tripped circuit breakers or blown fuses? Fuses and circuit breakers are safety devices that help prevent overloading of your home electrical system and prevent fires. They stop the electrical current if it exceeds the safe level for some portion of your home’s electrical setup. Are fuses or circuit breakers the correct size for the circuit? The wrong size fuse or circuit breaker can cause the wiring to overheat and could be a fire hazard. Do you have arc fault circuit interrupters (AFCIs)? AFCIs are advanced circuit breakers that provide GREATER fire protection for your family and your home. If AFCIs are installed, do you test them on a monthly basis? AFCIs can stop working without showing signs or symptoms of failure, so regular testing is necessary to ensure they are working properly. If it’s time for a panel upgrade OR you want us to install AFCIs for your breakers, give us a call at 505-554-3313 or fill out the form to the right of this post to request a free estimate. For a complete list of services we provide to all Albuquerque residents, click here. We hope that you go down this checklist, and you find that you have one or more of these in your household, you should call a licensed Albuquerque electrician right away to inspect your home and make sure your family is safe! If you want to make an appointment for Alpha & Omega Electric to come out and inspect your home, give us a call @ 505-554-3313 Monday-Friday, 8AM – 5PM. If you want to learn more about upgrading your electrical panel and the dangerous electrical phenomena called “cold creep”, click here! «Local Events: American Indian Week!